Join Stock Company "SORENPINA" was founded in 1994 in Vilnius, Lithuania. 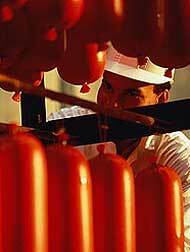 • Printing on sausages casings. • Printing projects design and modeling.